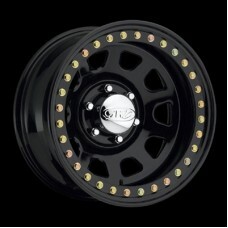 Wheels for your off road Nissan can be found here. 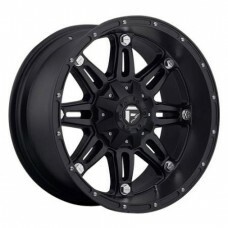 Wheel Size: 17x8.5 6 on 4.5 Bolt Pattern Offset: 14 Backspace: 5.25 Max Load: 2200 Finish: Matte Black ..
Wheel Size: 17x8.5 6 on 4.5 Bolt Pattern Offset: 25 Backspace: 5.75 Max Load: 2200 Finish: Matte Black .. Size 15x10 Bolt Pattern 6x5.5 Back Space 3.75 CB 4.25 Center cap and lug nuts not included Not DOT approved for highway use 25 PSI Max .. Size 15x14Bolt Pattern 6x5.5 Back Space 3.75 CB 4.25 Center cap and lug nuts not included Not DOT approved for highway use 25 PSI Max .. Size 15x7Bolt Pattern 6x5.5 Back Space 3.75 CB 4.25 Center cap and lug nuts not included Not DOT approved for highway use 25 PSI Max .. Size 15x8Bolt Pattern 6x5.5 Back Space 3.75 CB 4.25 Center cap and lug nuts not included Not DOT approved for highway use 25 PSI Max .. Size 17x8Bolt Pattern 6x5.5 Back Space 3.5 CB 4.25 Center cap and lug nuts not included Not DOT approved for highway use 25 PSI Max .. Size 17x9.5Bolt Pattern 6x5.5 Back Space 3.5 CB 4.25 Center cap and lug nuts not included Not DOT approved for highway use 25 PSI Max .. Size 17x8.5Bolt Pattern 6x5.5Back Space 4.5CB 4.25Center cap and lug nuts not includedNot DOT approved for highway use25 PSI Max.. Size 17x8.5Bolt Pattern 6x6.5Back Space 4.5CB 4.25Center cap and lug nuts not includedNot DOT approved for highway use25 PSI Max.. Size 17x9.5Bolt Pattern 6x5.5Back Space 4.5CB 4.25Center cap and lug nuts not includedNot DOT approved for highway use25 PSI Max.. Size 17x9.5Bolt Pattern 6x6.5Back Space 4.5CB 4.25Center cap and lug nuts not includedNot DOT approved for highway use25 PSI Max.. Size 20x10Bolt Pattern 6x5.5Back Space 4.5CB 4.25Center cap and lug nuts not includedNot DOT approved for highway use25 PSI Max.. Size 20x10Bolt Pattern 6x6.5Back Space 4.5CB 4.25Center cap and lug nuts not includedNot DOT approved for highway use25 PSI Max.. Size 20x8.5Bolt Pattern 6x5.5Back Space 4.5CB 4.25Center cap and lug nuts not includedNot DOT approved for highway use25 PSI Max.. Size 20x8.5Bolt Pattern 6x6.5Back Space 4.5CB 4.25Center cap and lug nuts not includedNot DOT approved for highway use25 PSI Max.. Size 20x10Bolt Pattern 6x5.5Back Space 4.5CB 4.25Desert bolt pattern, RACE ONLY.Center cap and lug nuts not includedNot DOT approved for highway use25 PSI Max.. 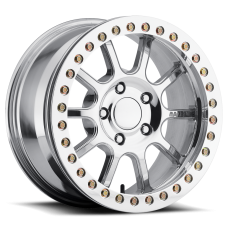 Size 20x8.5Bolt Pattern 6x5.5Back Space 4.5CB 4.25Desert bolt pattern, RACE ONLY.Center cap and lug nuts not includedNot DOT approved for highway use25 PSI Max.. Size 15x8Bolt Pattern 6x5.5Back Space 3.25CB 4.25Center cap and lug nuts not includedNot DOT approved for highway use25 PSI Max.. Size 17x8.5Bolt Pattern 6x5.5Back Space 4.75CB 4.25Center cap and lug nuts not includedNot DOT approved for highway use25 PSI Max..